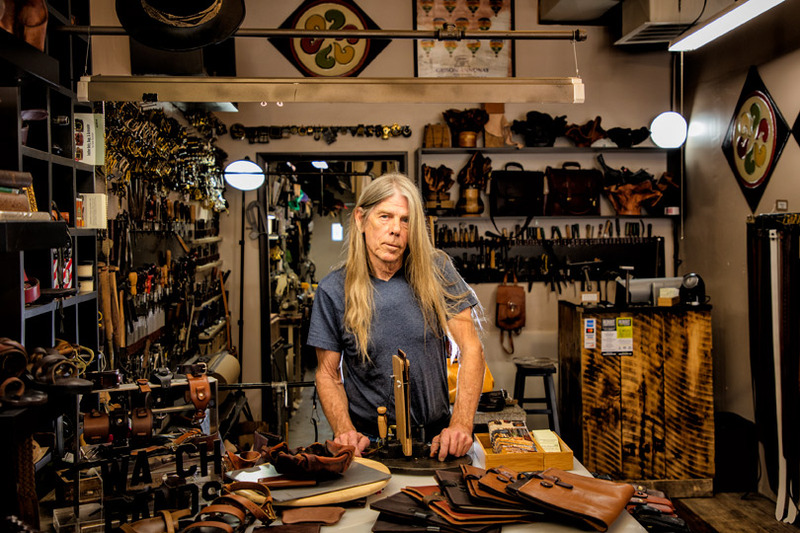 Steve Rye's family-run business Sole Survivor brings top-notch leather goods to Maplewood. In the heart of Maplewood, there's a quaint little leather shop with a sign out front that reads, “Yes, it does smell good in here.” Venture inside and you will not be disappointed. There's wall-to-wall leather goods and accessories to fill your nose and closet. This is Sole Survivor. 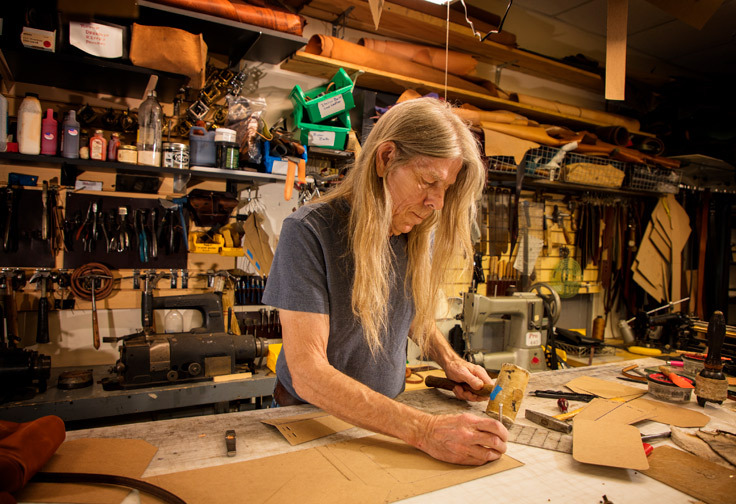 It's a family-run business with more than 50 years in the craft of leatherwork and it all starts with Steve Rye. His lifelong journey has brought Sole Survivor where it is today. From there the process is relatively simple. It's a matter of creating the pattern for a product out of cardboard. 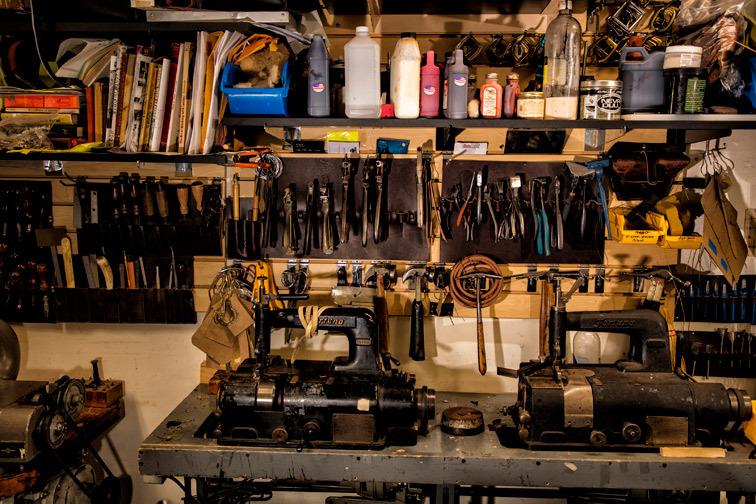 This is essentially a template for Steve to use for the cutting and sewing of the leather he has chosen for a given project. 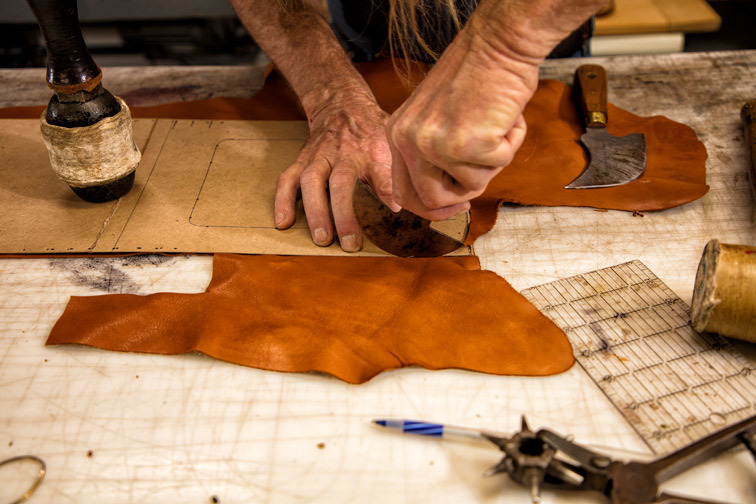 Then he cuts the leather to size and skives the areas that must be thinner for stitching. Finally, it's all sewn together and polished to perfection. Easy to describe but it takes a lifetime to master. 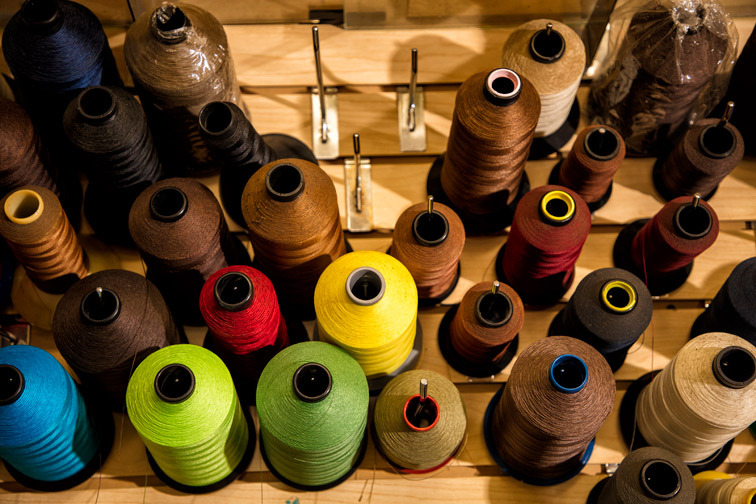 That's how the family that makes up Sole Survivor creates the inimitable bags, belts and accessories that are available every day to the public. To find out more about Sole Survivor, stop by and say hello or find them on Facebook, Instagram or their website, SoleSurvivorLeather.com. 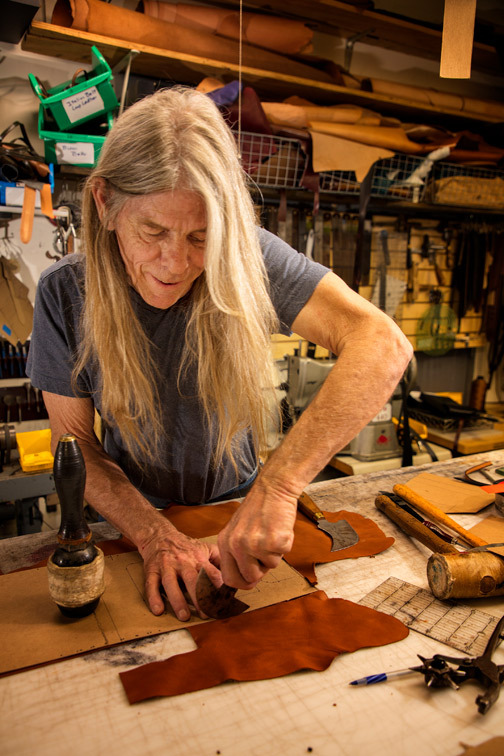 You can also visit them at the Best of Missouri Market at the Missouri Botanical Gardens, where they'll be unveiling their newest addition to their line of leather goods, custom leather footwear.